Wolf and Wildcat alloy and 412Wh batteries NOW SOLD OUT sorry! 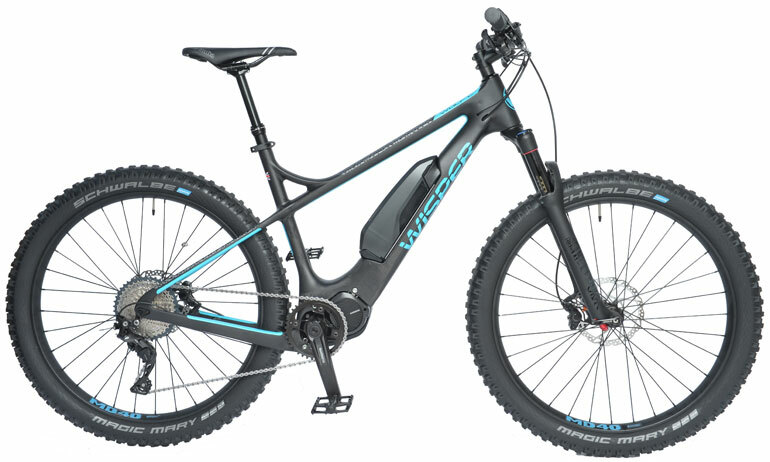 The Wisper Works eMTB range was launched in September 2017 at the UK Cycle Show. Over 300 people test rode the bikes, the vast majority proclaiming the Wisper Wildcat Carbon the best eMTB they had ever ridden. 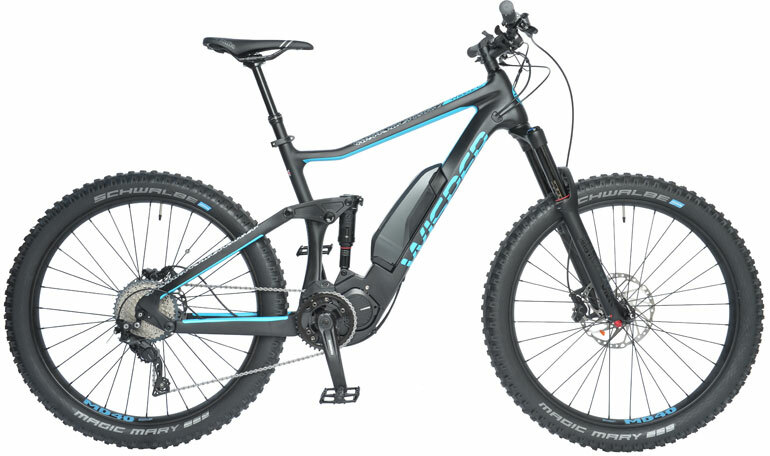 Now available from stock, our new range of very light weight, all carbon high end eMTBs feature the superb Shimano Steps E8000 mountain bike drive system. 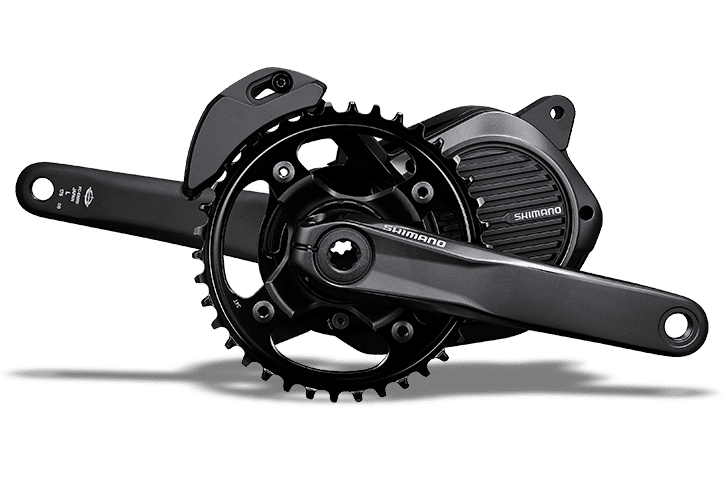 Specifically designed by Shimano for high performance eMTB use, the E8000 is part of the Deore XT group set, recognised as the very best in eMTB power delivery. 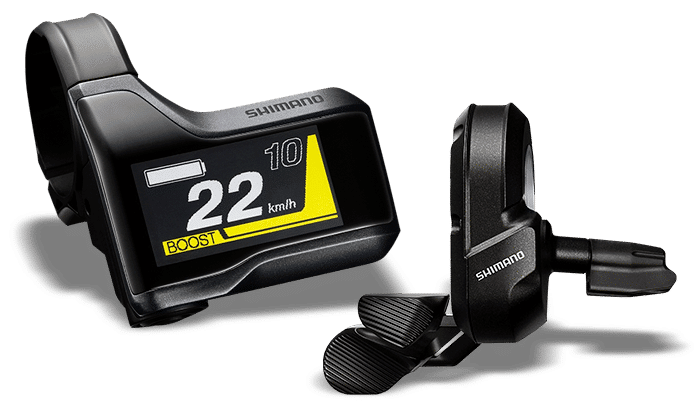 The new Shimano unit is more powerful, compact and weighs less than other models in the market. It offers more clearance for those daring descents and due to the Shimano designers’ long term experience in MTB design, the Q factor (distance between cranks) and rear stay length are exactly the same as on a non electric mountain bike, offering nimble cornering and maximum efficiency. The new “beefed up” 75Nm (250W) motor makes even the steepest of climbs a breeze. This is coupled with a new lightweight and rigid hollowtech crankset, designed specifically for eMTBs. 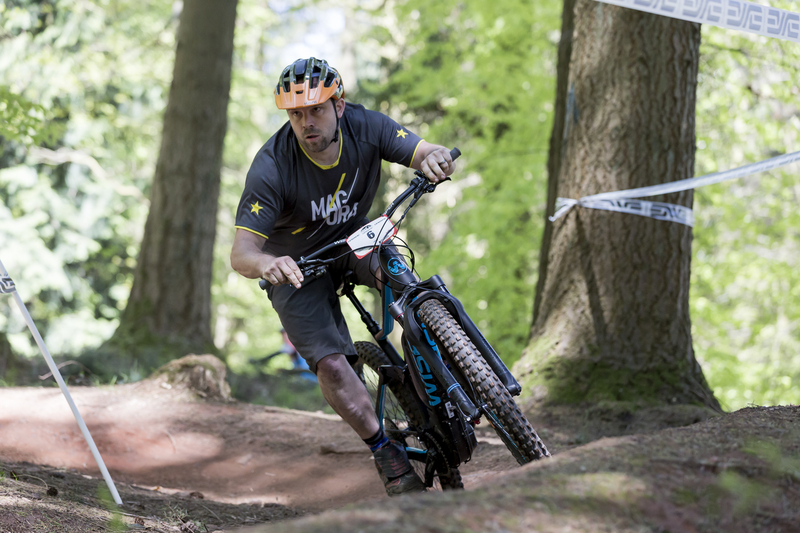 Our eMTB range is designed to provide a rewarding riding experience on long trails or short, fast, down hill blasts. The Wildcat Carbon utilises the new Trunnion mount, offering better durability and less friction. The Trunnion setup offers increased standover height, enabling suspension unit designers to produce a frame offering a smoother, stronger pedal stroke. We have employed a Horst link on the rear swing arm on both full suspension bikes, the Horst link makes the rear suspension less susceptible to the forces of pedalling and braking, giving the rider a more comfortable ride with enhanced handling and performance. Our flagship bikes are constructed using high tensile T700 Uni Directional carbon, the same material used in the build of fighter aircraft and F1 cars. Ourframes benefit from tapered head tubes enabling us to build in a stronger and stiffer front end. Both frames have been designed to clear the larger 27.5” plus tyres or 29er wheels for even more versatility. Weighs only 2.8kg, one of the lightest motors on the market. Solidly supports speeds up to 25 km/h. A powerful, compact and lightweight drive unit, the only eBike drive system especially designed for eMTBs. 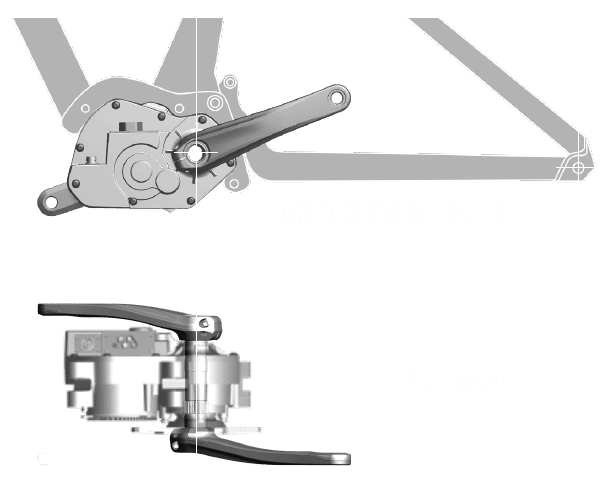 The E8000 drive unit offers a shorter chainstay and even more clearance, enabling us at Wisper to design eMTBs with the same geometry as standard top end MTBs (See Q Factor). The shorter wheel base creates an amazingly nimble ride. No other eMTB feels or rides as faithfully to the sport. The drive unit gives you a direct pedalling feel, whether the power assistance is switched on or not. Its low weight ensures even more improved bike handling. Thanks to the extraordinary pedalling efficiency, the system has a stable assist power output which is regulated by cadence. The faster the bike is pedalled the more the system will assist. 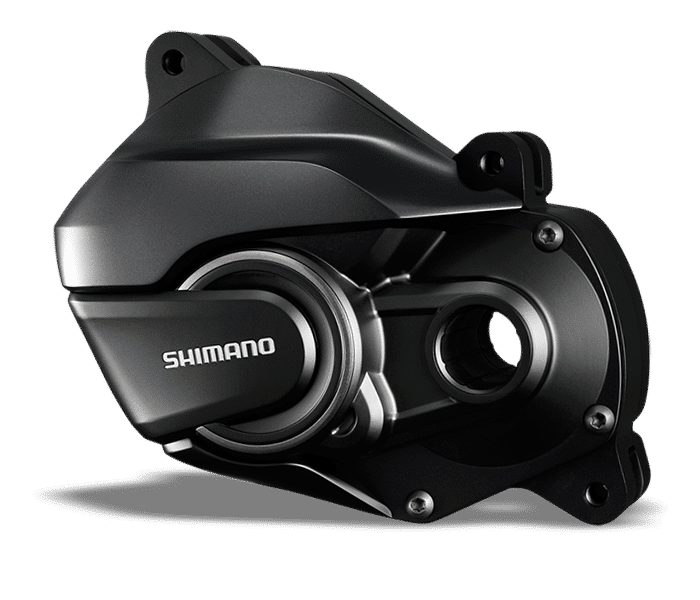 The drive unit accommodates frames with shorter chainstays to give Shimano E8000 MTB equipped bikes typical mountain bike handling and manoeuvrability. This means the distance from the BB centre to the rear axle centre can be exactly the same as on a high end, non electric, competition MTB. This gives the bike increased agility when taking tight corners and avoiding obstacles at speed. Additionally the narrow Q factor is what ultimately provides an efficient pedal stroke. The Q factor is the distance between the cranks. Combining these features ensures a perfectly balanced riding position and gains more ground with each pedal stroke, providing a natural riding experience. Lightweight and rigid: the e-MTB dedicated crankset is characterised by its HOLLOWTECHII type BB axle. It comes in two crank options: the FC-E8050 with hollow crankarm and the FC-E8000 with solid crankarm. The e-MTB chain ring comes with the same profile as the Deore XT SM-CRM81 chainring. The new e-MTB control switch for intuitive operation has an ergonomic switch position especially developed for MTB. In the Power Walk mode, motor assist is available while pushing the bike. You can wirelessly program it with your smartphone and tablet via E-tube. The new STEPS MTB is going to change the way you hit the trails with its fully customisable power-assist settings! Both Boost and Trail Modes can be tailored to fit your riding style. 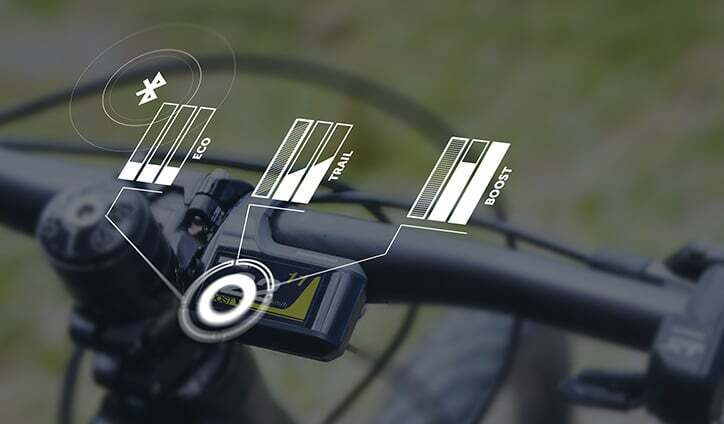 Using the Shimano E-tube app on your pc, tablet or smartphone, you rider can easily adjust the Boost and Trail modes on your Wisper eMTB, to create your personal e-power assistant. Choose high Boost to tackle steep climbs. Switch to low Trail to have optimal traction. 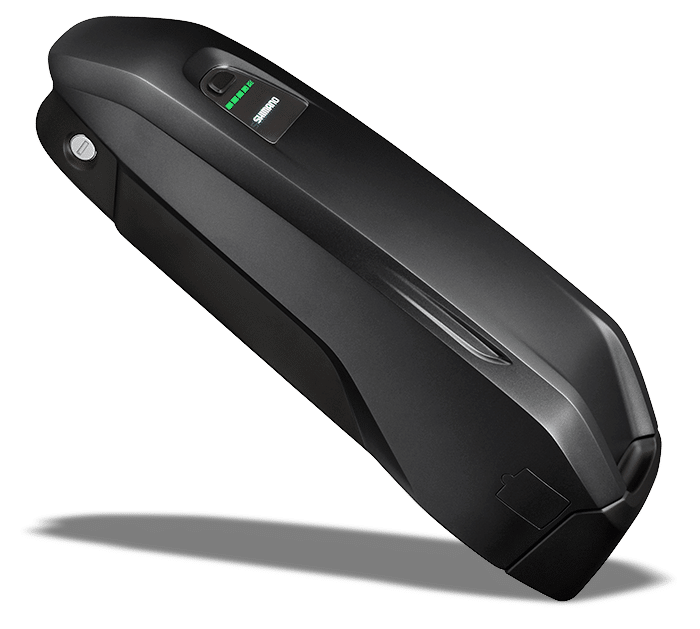 Adjust your settings or update your Wisper bike to the latest firmware on the fly with our trailside Bluetooth connection. The ultra durable waterproof battery has an MTB dedicated low profile design for improved impact and vibration resistance. The high-capacity battery with superb reach and 504Wh offers a consistent recharge.